Sakai Community DocumentationSakai 11 - EnglishSakai 11 Administrator Guide Sitestats AdminHow do I view server-wide reports? Select the Sitestats Admin tool from the Tool Menu in the Administration Workspace. Select the type of report you want to view. Zoom: Select the type of report you want to view. Choose the type of report by clicking one of the links provided and your selected report will display. 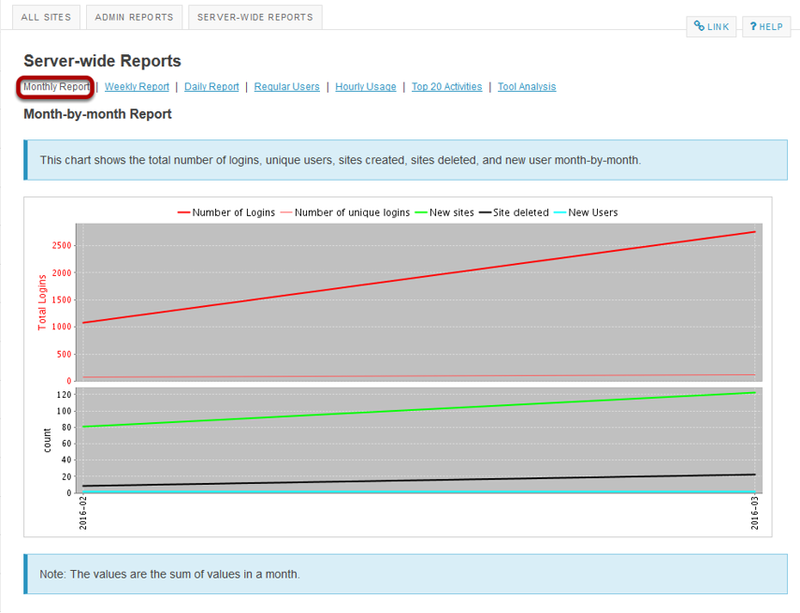 Prev: How do I create predefined reports available throughout the system? Next: What is the Users tool?